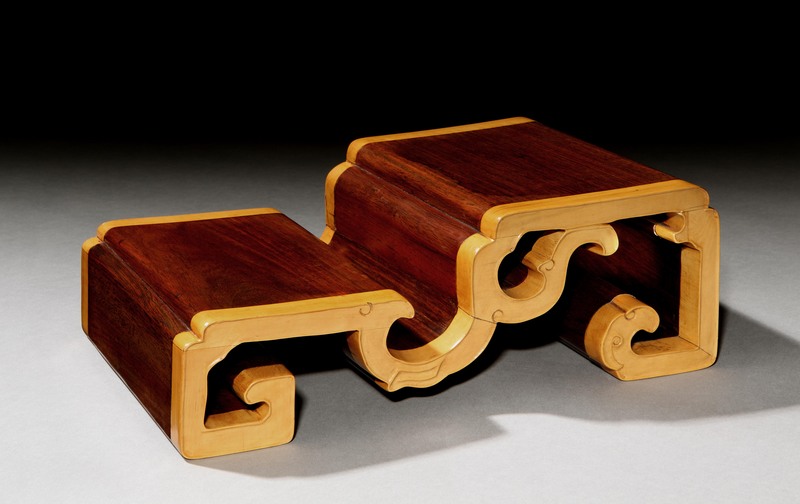 Another border-line case between stands and furniture is the duobaoge, or multiple-treasure shelf, a type of shelf with irregular compartments, each fitted to display one object. 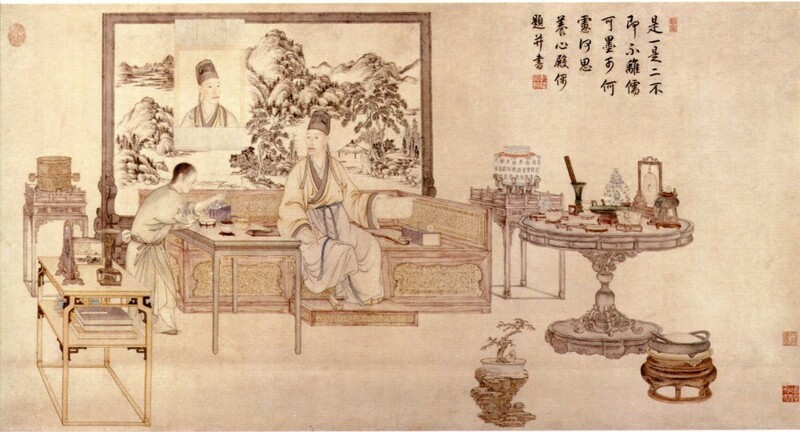 The smallest extant duobaoge function well as table-top cabinets, and almost fit into the category of scholar’s object. On the other hand, a duobaoge can take the proportions of a floor-to-ceiling display shelf. Examples of architectural proportions can still be seen in the Palace Museum in Beijing [ 3 ], and are described with minute precision in Dream of the Red Chamber, the well-known 18th-century novel by Cao Xueqin. 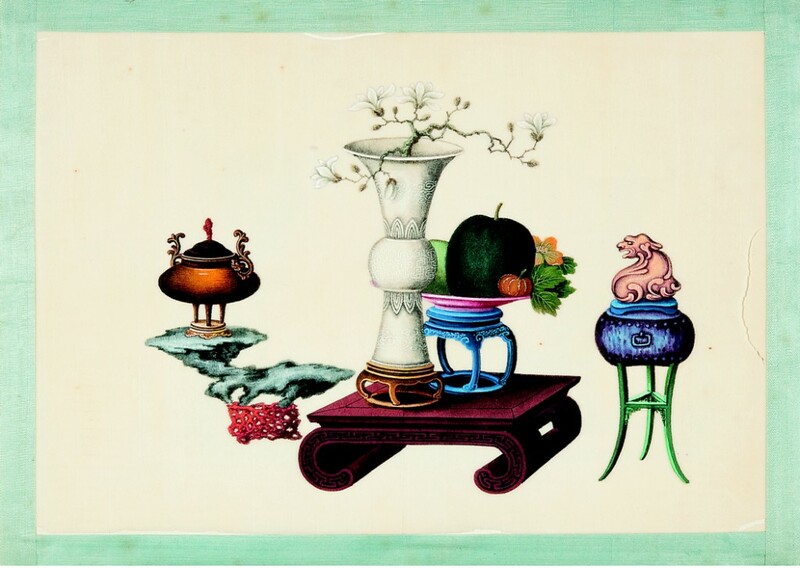 As a result, the attention of demanding collectors has been attracted to smaller pieces that retain all the features of classical Chinese furniture, even though they have been separated from the objects they once supported. 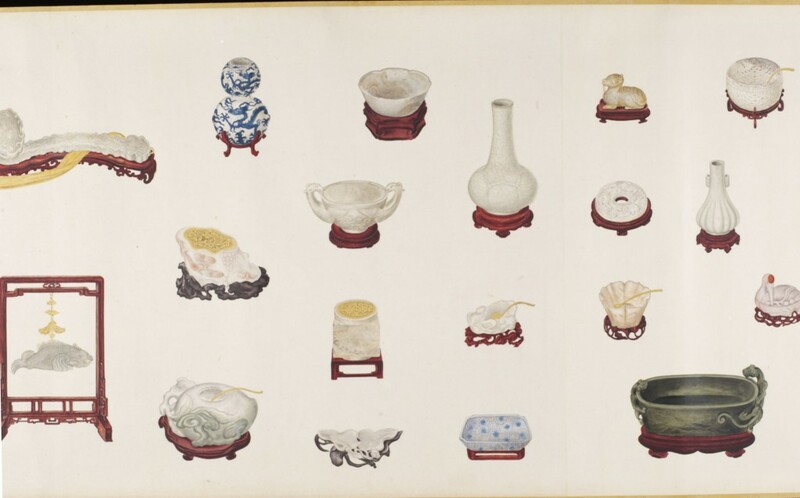 Chinese wooden stands have now developed as an autonomous collecting field, with outstanding published collections documenting Ming and Qing stands in a variety of woods [ 4 ]. Contemporary collectors can speculate, as an educated guess, about the nature of the object for which some one-of-a-kind stands were made. One can even pursue the archeological dream of reuniting a stand to a matching object, thereby continuing the Chinese tradition of involving the beholder in the life of a work of art.